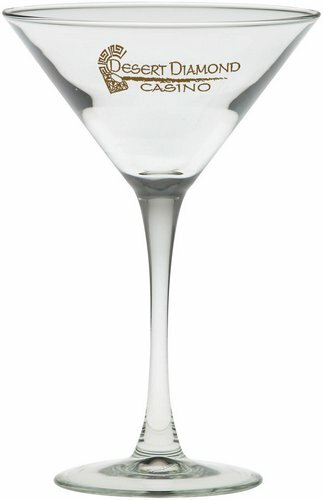 Custom Printed Martini Glass Glassware | Promotional Glass & Drinkware? Custom Classic Stem Martini Glass 7.25 oz. Features a classic extra wide bowl, characteristic of all martinis. There is a master carton fee of $6.95. Master Carton / Safe Ship packs hold 36 glasses bulk.